A couple of weekends ago, I got that unpleasant surprise of no hot water. That’s not nearly as bad as no water, but when you’re looking forward to a hot shower, it’s still a big letdown. After two or so hours of trying to resolve it myself, it was clear that it was time to call in a professional, in this case the company that had installed the product less than three years ago. The good news was that everything would still be under warranty. More good news – right there on the side of my non-working water heater was the installing company’s 24-hour service dispatch number (or so I thought). My call was answered promptly and we set up a service call for the next morning. There was one minor point of contention: she couldn’t find any record of her company installing the unit. But no problem; as long as I had my paperwork from the installation showing that they had indeed installed it, everything would be covered. I assured her that I did and I even knew exactly where it was filed. She did give me a stern reminder that if it turned out that someone else had installed the product, there would be a significant non-refundable service charge (think Sunday morning) and of course, no warranty coverage. I never gave it a second thought until later that evening when I grabbed the paperwork out of the file. To my astonishment, the business name on the paperwork didn’t match the company that I had been talking with on the phone! By now, you have probably figured out what happened. Earlier in the year, the plumbing contractor that I’d been on the phone with had been out to repair a broken outside faucet. But while their technician was here, he had slapped his company’s business sticker on the side of my water heater over the sticker of the contractor that had actually installed it. Once I figured this out, I quickly cancelled the one service call and rescheduled with the installing contractor. Here’s an example where a good business practice was overdone. 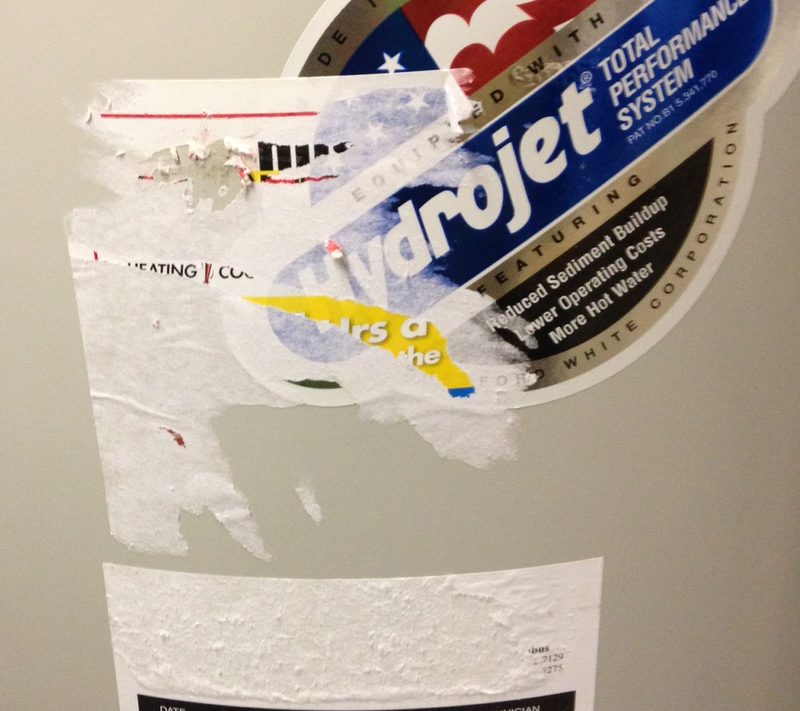 From both a contractor and consumer perspective, business stickers are great. They’re a convenient and inexpensive way for the homeowner to know who to call if there’s an issue. But this contractor got overzealous with it and almost led me down the wrong path as a result. He ended up coming off as unprofessional. And come to think of it, I better go see whose stickers are on the HVAC unit and water softener. If they belong to him, they’re coming off. 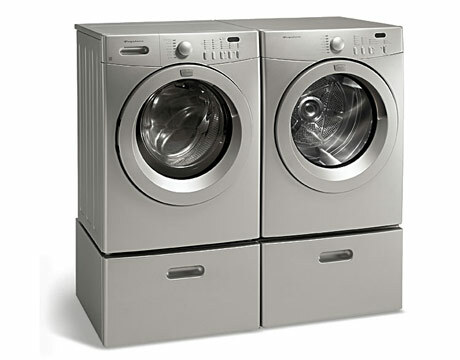 Wouldn’t it be cool if someone made a washing machine and dryer that was one unit? A single appliance with a single door that you put your dirty laundry into and when the cycle was complete, the clothes were clean AND dry. I read recently that the appliance companies have been looking at this for years and in the not too distant future, an integrated washer and dryer may be a reality. Whenever that happens and we all have those, we may look back and think about how ridiculous it was to have to move a pile of wet laundry fro m the washing machine to the dryer. But until then, we just accept the way things are and never give it a second thought. Looking in the other direction, there are tons of examples already in our lives today. Who knew we needed smart phones, microwave ovens, or cruise control on our cars? But in every case, up until we had those products, we didn’t know the difference. What about our industry? I would suggest that variable-speed, constant pressure systems fall squarely into this category. I know this because if you ask a homeowner that has upgraded to constant pressure, they will tell you that they will never go back to a conventional system. But for them to get there, their water systems contractor had to lead them there. Not a single one of those homeowners woke up in the middle of the night thinking, “Boy, I wish someone made a water system that got rid of that large tank and gave me better, more consistent pressure.” They just assumed that for all the advantages of being on a private water system, these were just things they had to live with. They didn’t know there was a better way until they got to experience it for themselves. Not everyone has a smartphone and likewise, you won’t sell an upgraded, constant pressure system to all of your customers. But to those customers that you do, they won’t be able to imagine going back to their old system ever again. In the meantime, I think it’s time to go move my laundry from the washer to the dryer. I’ve talked about differentiating your business before (Why you?) – that is, how does your business stand out from your competition and deliver a higher level of product and service? Here’s another simple, but great example of a business doing exactly that. The pizza business is very competitive. Just think of the number of pizza restaurants in your neighborhood. And although some might argue, pizza is pizza. So, how does one pizza business differentiate itself from all the others in such a commoditized market? Enter this pizza restaurant (EOC stands for East of Chicago) located in an area that, as you may have guessed, is heavily agricultural. The last few weeks have been planting season, which mean long days in the fields for the farmers and their crews. Those guys get hungry, but don’t have time to go into town for lunch or dinner. This pizza business has identified that unmet need and offered a solution. 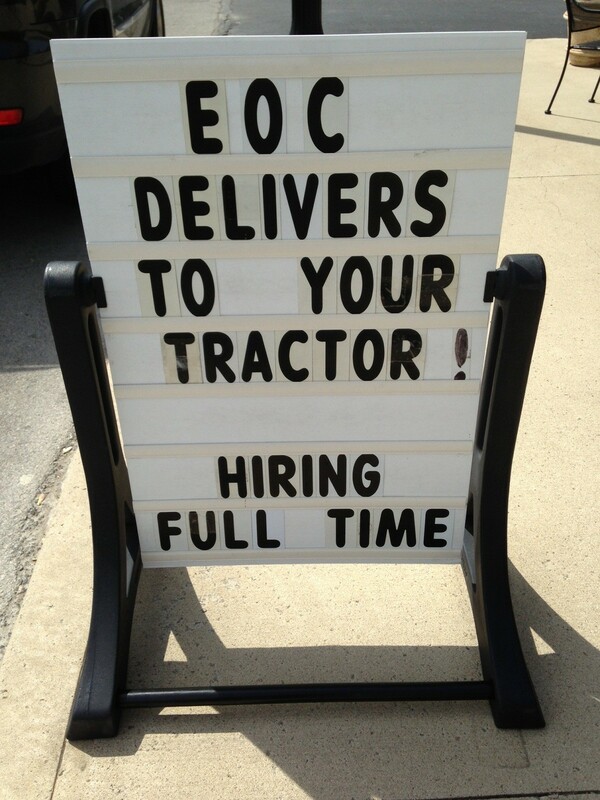 By offering “delivery to your tractor”, they’ve not only differentiated themselves, but expanded their customer base. If the sign simply said “WE DELIVER”, it probably never would have occurred to these customers that they could have fresh pizza for lunch, instead of the usual alternative of brown-bagging it. Think of this example in terms of your water systems business. Are there opportunities and ways of reaching customers right under your nose that you haven’t thought of? By the way, do you know what the other side of that sign says? “WE ALSO DELIVER TO THE BALLPARK”. I’ve talked in past posts about the importance of being involved in your community as part of building good relationships with your customer base. Here’s a tip related to this that I heard years ago but was recently reminded of again. A friend of mine sells manufacturing equipment over a large, multi-state area. Given the size of his territory, he can only see most of his customers once a month. Many of his customer visits are in smaller, out-of-the-way towns. He normally arrives the night before the customer meeting, but before going to the hotel, he makes it a point to pick up a copy of the local newspaper to read. As a result, he’s more engaged and informed the next day about what’s going on in the community than he would be otherwise. He says it just makes conversations go better, especially those in informal meetings over breakfast and lunch. As an alternative, he sometimes catches the local TV news, but he maintains there’s nothing better than the local newspaper to get him up-to-date. 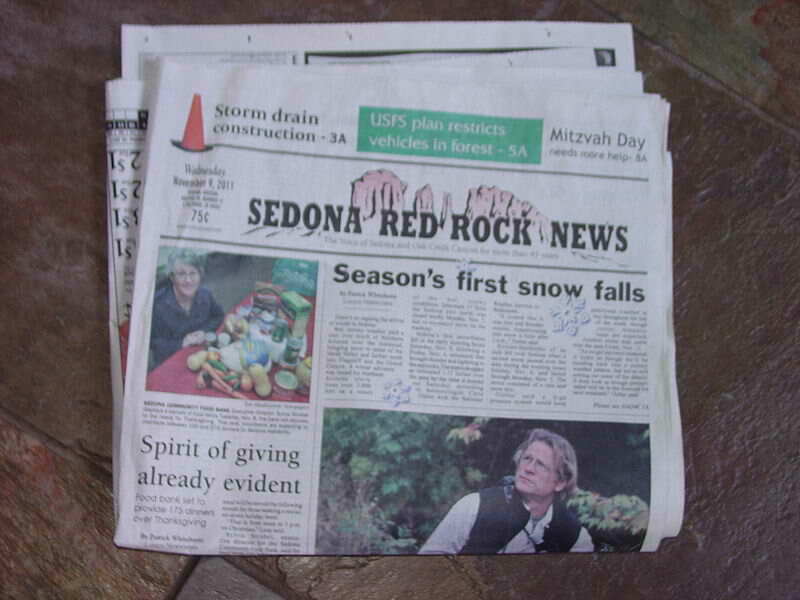 And besides, he says those papers are often more interesting than the ubiquitous USA Today. It’s a small thing and the trade area of your water systems business probably doesn’t cover multiple states. But the point remains – most of us like to do business with people that are part of our community. For you, that may mean coaching Little League or serving in a volunteer organization or even being involved local politics. Whatever the venue, being engaged with your customers also means being involved with what’s going on in your community. In the winter months, the ground in much of the country is frozen. Construction gears down and moves to indoor projects, fields lie dormant with no need for irrigation, and no one fills swimming pools or plays in garden hoses. The reality of our world is that we gear up for “the season” and then hunker down to weather the off-months until the next one comes around. There just isn’t much new installation work in those months, so we sit around waiting for something to break. That’s just how it is. Offer a total system check, following an example often seen in the HVAC business. $99 (pick your price) for a comprehensive evaluation of water system health, including tank charge, pressure switch review, and motor resistance. Is your home ready for summer? Don’t run out of water when you need it most. With a little creative thinking and proactive bustle, you can turn even the winter months into a profitable period for your business. Who cares if it’s cold outside? Sometimes with all the marketing and sales advice out there on how to manage and grow your business, it’s easy to forget how important it is to do the simple things right. 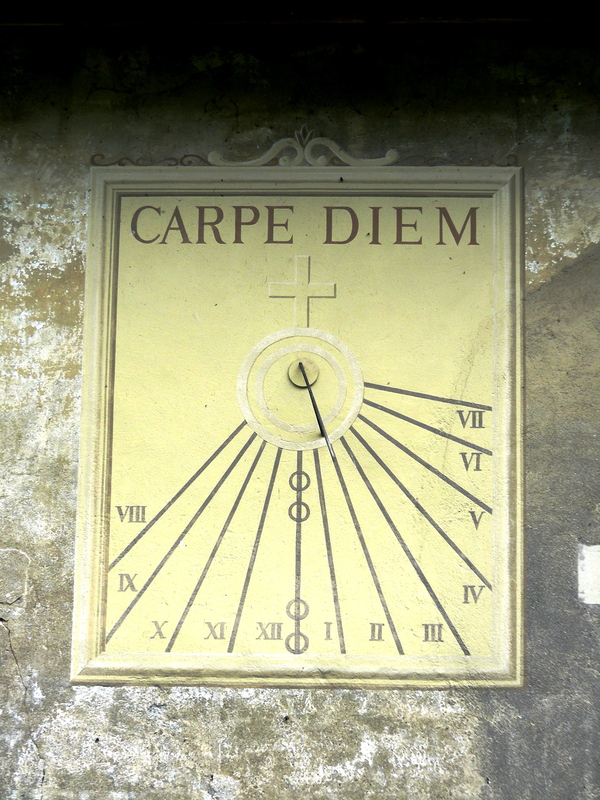 Yesterday, I ran across this blog post, Carpe Diem, from a professional colleague at Franklin Electric. At first glance, her post may not seem as if it applies to your water systems contracting business, but read on. The real life lesson here applies just about anywhere, and especially to your business. It makes the point so well, I decided to use it as this week’s Franklin in the Field post. Even when you think things are going well, don’t be the guy who doesn’t call back; someone else will. Some scary stuff has been happening in my town. Someone has been lying in wait at apartment complexes and attacking residents as they come and go. As part of its reporting on the story, a local news program decided to include a segment on self-defense, including a demonstration of technique. Out of the blue, my brother got a call to lead that demonstration. My brother is an expert in Bujinkan Budo Taijutsu. He operates a dojo in his hometown, where he offers instruction, hosts seminars, and provides a gathering place for fellow students of the art. He’s still trying to get some traction for his business, as it’s not yet widely recognized in the area. He was thrilled to get the call from the TV station, but he was also pretty surprised. You were the first person to call me back. No one will argue that hard work and a good product are essential to success. Others would extol the necessity of good marketing, the right price point, and brand building. And I agree wholeheartedly. What I learned in that TV reporter’s answer, however, was the importance of seizing the moment. I have to be ready to jump on opportunity–which means I must also be alert and watchful for any potential. My brother’s business wouldn’t have suffered if someone else had returned that call first. He would have kept doing what he’s doing, working hard to bring students into his dojo and share his passion. In fact, he’ll keep doing that anyway. Since he did call back, though, he’s certainly better for it. A few more people know about him, he has a terrific video segment to boost his credibility, and his confidence got a shot in the arm. When opportunity knocks, make sure you’re listening–and then open the door. When it comes to marketing strategy, any marketing course beyond high school will break it down into four parts: segmenting, targeting, positioning, and the value proposition. Does any of this apply to your water systems business, or is it just academic jargon? I think it applies, and here’s why. Let’s start with segmenting. My version of this is “a customer is not just any customer”. You probably do this all the time. You know intuitively that the water system needs of an expensive lake home are different from those of farming operations which are still different from those of a municipality. Segmenting leads to targeting, which is simply identifying which of these segments you feel are the most profitable and make the most sense for your business. As a water systems contractor, you may decide to target everybody that needs water, or just certain segments, such as agriculture. Once you’ve identified your target market, the strategy moves to positioning. This answers the question, “Where do my products and services fit versus the competition?” Are you the low-cost leader? Are you the expert on variable-speed constant pressure products? Or, is your company somewhat of a generalist, providing a variety of water services? 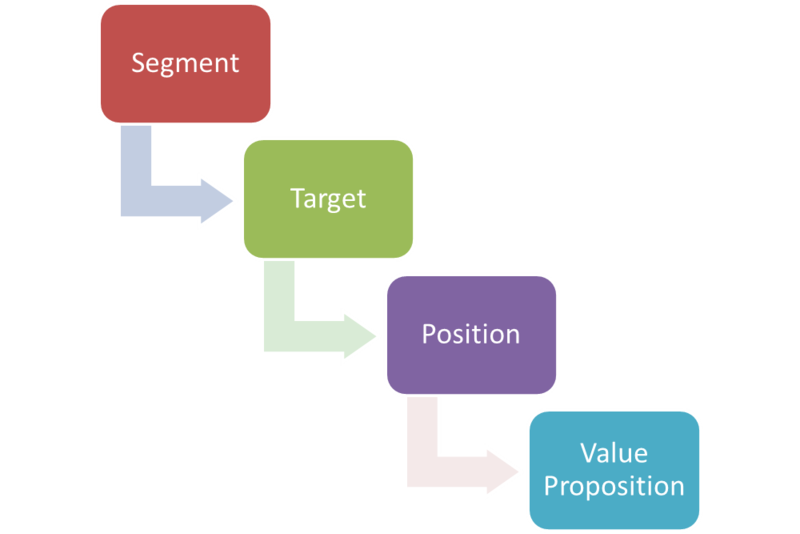 Finally, after you’ve segmented your potential customers, targeted which ones you’re going after, and decided how you’re going to position your business within that target market comes the value proposition, also sometimes called the unique selling proposition. A couple of fancy names, but this is the meat of a marketing strategy and the essence of your business. It’s also the hardest part. Your value proposition encompasses your advertising, your brand, your competitive advantage, how you do business, and even your logo. It says, “Here’s why you should buy from me.” The list of choices can be long: I am the most convenient (24 hour service); I am the most experienced and reputable; and I am the most affordable, are just a few examples. The reason the value proposition is so important is that the alternative is to try to be all things to all people. That rarely works because it just confuses the customer. What makes finding the right value proposition difficult is that it has to match the capabilities of your business to what will resonate with your target market. For example, if it doesn’t make financial sense for your business to be the low-cost leader (and it rarely does), you shouldn’t go there. As a water systems contractor and business owner, you’re probably already going through this exercise, maybe even unconsciously. Nevertheless, you’ll never regret taking a step back from time to time to think the steps through. You just might find a better (and more profitable) value proposition.